Figure 1-14. Punch Card Data (CC 27). Home > Transportation Reference and Training Manuals > > Figure 1-14. Punch Card Data (CC 27). Figure 1-12. Punch Card Data (CC 21 Through 23). Figure 1-16. Punch Card Data (CC 30 Through 46). 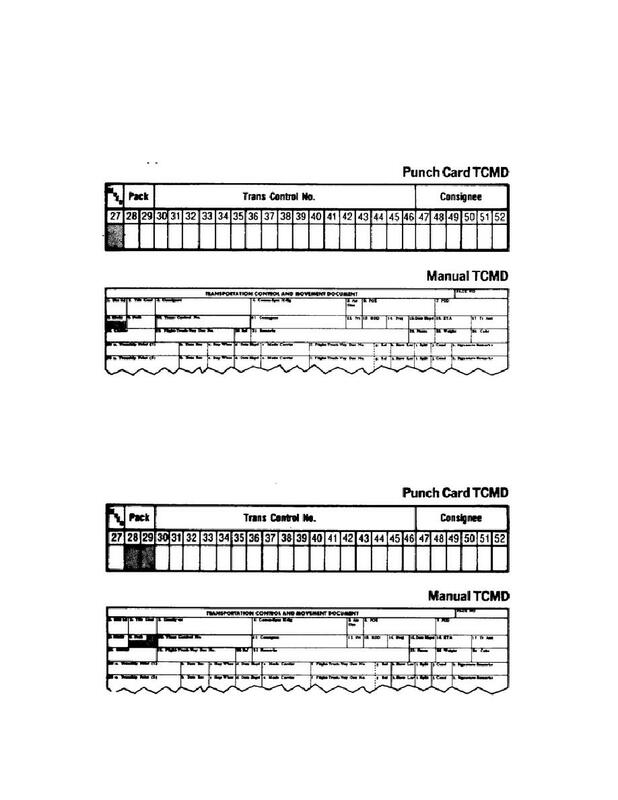 card that records data from the second line of the manual TCMD. these figures to check the punch cards of your personnel for correct entries. (manual TCMD) - cc 27 (see Figure 1-14). Punch Card Data (CC 27). (manual TCMD) - cc 28 and 29 (see Figure 1-15). Punch Card Data (CC 28 and 29).